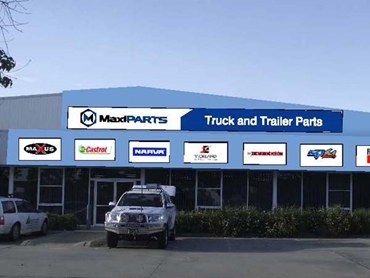 Reputed Australian truck and trailer parts supplier, MaxiPARTS has acquired RW International Parts in Wagga Wagga. This acquisition further bolsters the Company’s recent expansion into the NSW market and increases its number of retail stores around the country to 20. MaxiPARTS General Manager, Peter Loimaranta comments that the strategic acquisition is complementary to the existing MaxiPARTS wholesale and retail network and will further improve their expanding coverage of the Australian market. RW International Parts owner Rex Waters will remain with the company for the next few months to help with the transition. Established in 1983, RW International Parts is a leading provider of parts, accessories and consumables in the Wagga Wagga area. According to Mr Loimaranta, the addition of MaxiPARTS’ diverse core product range will turn MaxiPARTS Wagga Wagga into a one-stop-shop for the area for requirements as diverse as car fridges, tool kits, LED lights, tyres or axles and suspensions. The relocation to the new site just 260 metres from the current location provides a significantly larger retail and warehouse space, allowing the business to properly stock and display its expanded range of products. Wes Higgins, a long-time resident of Wagga Wagga will be taking on the role as manager of the Wagga Wagga branch in addition to MaxiPARTS’ Albury branch. The latest move follows MaxiPARTS’ 2013 acquisition of Central Coast Truck Parts, as well as the relocation of its Moorebank and Albury stores to larger facilities.